I am trying hard to connect the words poop and pee with the actions. Poop is pretty easy. It’s not hard to tell when your child is filling his/her diaper. Like I said before, every time I see him pooping, I say something so that he will start connecting the action to the word. Then later on, when I sit him on a toilet and tell him to go poop, he will know what I’m talking about. I also have an advantage because he sees me changing his sister’s diaper. I will say things like “sissy went wet in her diaper,” or “sissy has poop, see?” I know it sounds gross, but I think it will help him learn the word. You can’t expect a child to learn the word apple without ever showing him one, right? I figure that until he can say the words “poop” and “pee” or some variation, we won’t have much luck potty training. Potty equipment that is. I bought a potty chair for him quite awhile ago. Before he gets in the bath, and occasionally when I change his diaper, I let him sit on the chair. A couple times he has even gone potty in it. I praise him for doing a good job, even though it was a coincidence. I think it will help him get the idea faster. He also likes to sit on it now when he is going poop, but with a diaper on. I also have been getting him used to big boy underwear. Once in awhile, he tries them on. He thinks its funny, and he hangs out in the for a few minutes, then we put a diaper back on. Those are the things I am doing right now to get him ready for potty training. 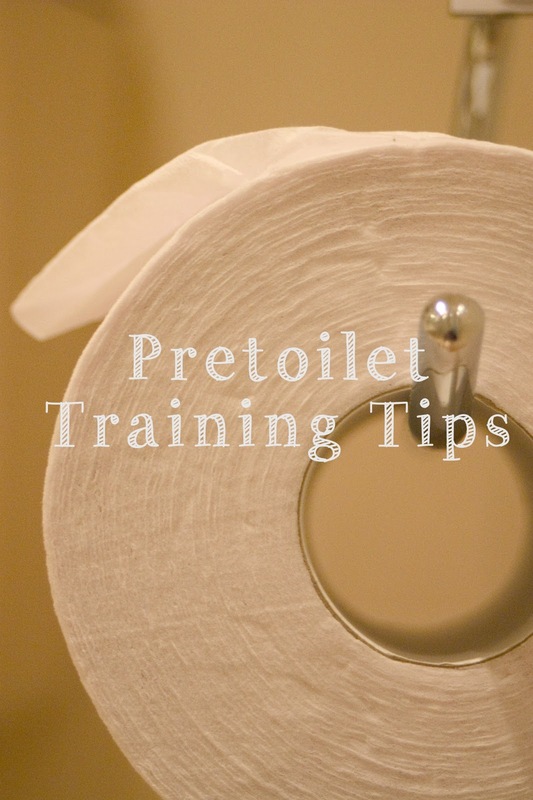 I know that it might be a little while before we enter into the active potty training stage, but I am doing what I can to make that stage go as smooth as possible. What things did/do you guys do to help your kids with this? For more parenting articles, click here.